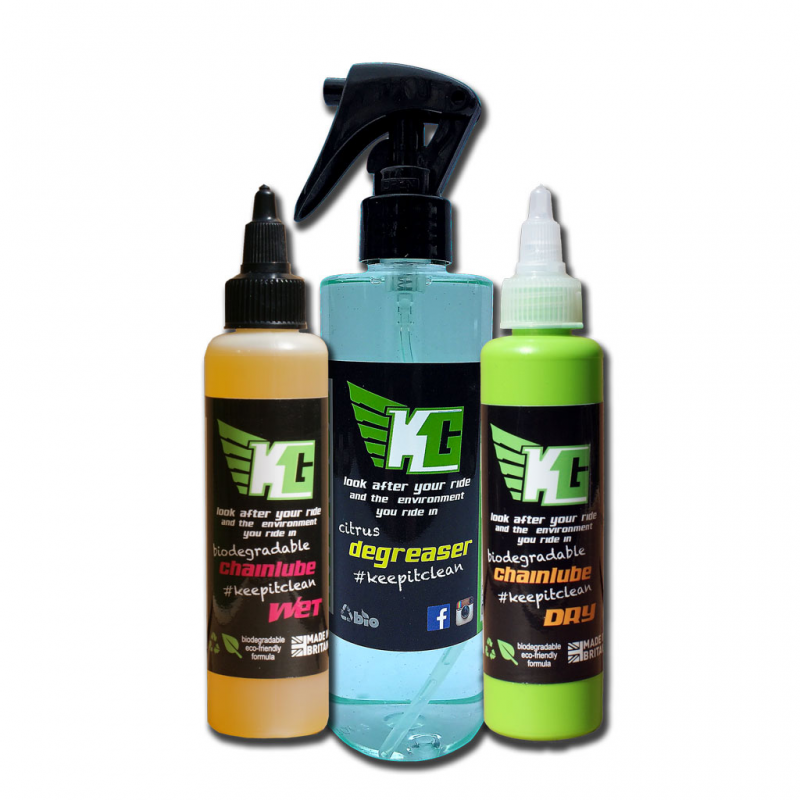 Money saving starter bundle containing two biodegradable chainlubes (wet and dry) and a 250ml biodegradable citrus degreaser to make sure your chain is perfectly clean and working at optimum efficiency. If you purchase this product you will earn 165 Reward Points! Worth £0.83! 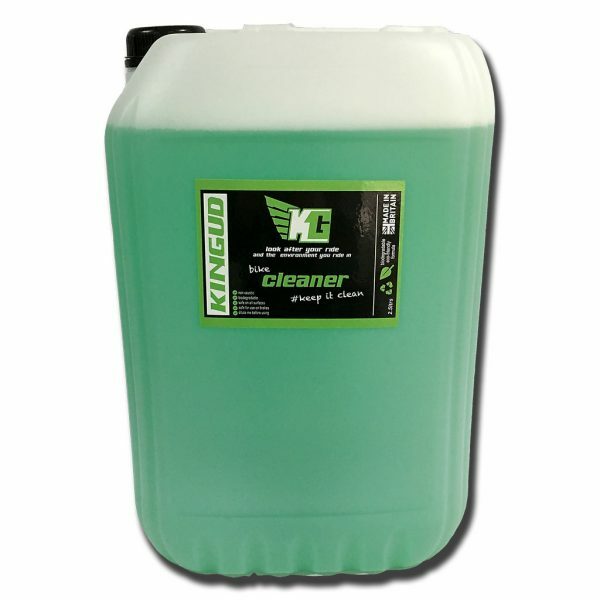 Kingud biodegradable Citrus Degreaser is a fast effective chain/drivetrain cleaner specifically formulated to quickly and safely remove chain grime from your ride including your cassettes, derailleur and rear wheel without harming the environment. Its Kingud formula quickly breaks down oil and grease to ensure your ride is working at maximum efficiency. Kingud Chain Lube is an eco friendly, 100% biodegradable plant based oil that is ideally suited for all types of cycling. With two specially formulated viscosities for riding in wet or dry weather, this chainlube will keep your drivetrain smooth and your gearshifts quiet. With a unique captive screw drip system you won’t be losing any more caps.